Pan mee is loosely translated to “board noodles” in English and it is one of my favourite things to eat on a rainy day. I still remember making pan mee (from scratch) for dinner in the UK and the outcome was far from satisfactory. But it was winter and I was homesick, so I ate it anyway. 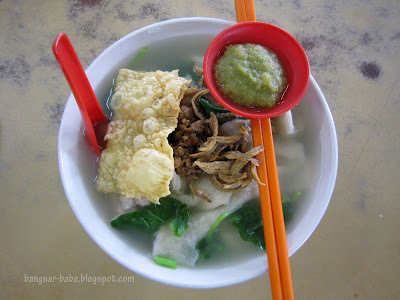 After a satisfying lunch at Hoi Kee, I promised myself I’d return soon to check out the pan mee. The uncle worked pretty fast — my noodles were sent over 5 minutes after I placed an order. Only the hand pulled pan mee is available and you can choose to have it ‘kon loh’ style or soup. I went for the latter. 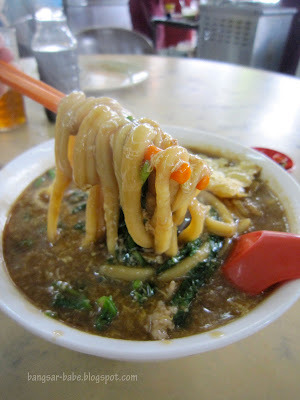 The noodles (RM4.50 – small, RM5 – large) came with plenty of ingredients and their special green chilli sauce. 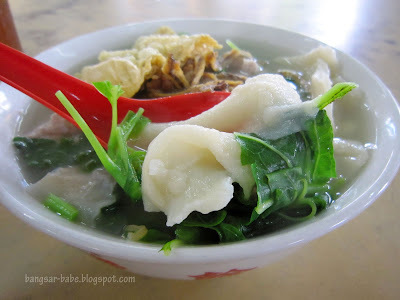 Texture-wise, the pan mee was smooth, chewy and tender to bite — the noodles were slightly thicker at the centre and thin around the edges. I found the clear broth ordinary, but the copious ingredients gave it a more flavour. The green chilli sauce packed a lot of punch. Its tangy and spicy flavour gave the noodles a whole lot of kick. My lips were tingling and sweat was trickling down my forehead while eating this. Rif who wasn’t a fan of pan mee went for the chap fan behind the pan mee stall. 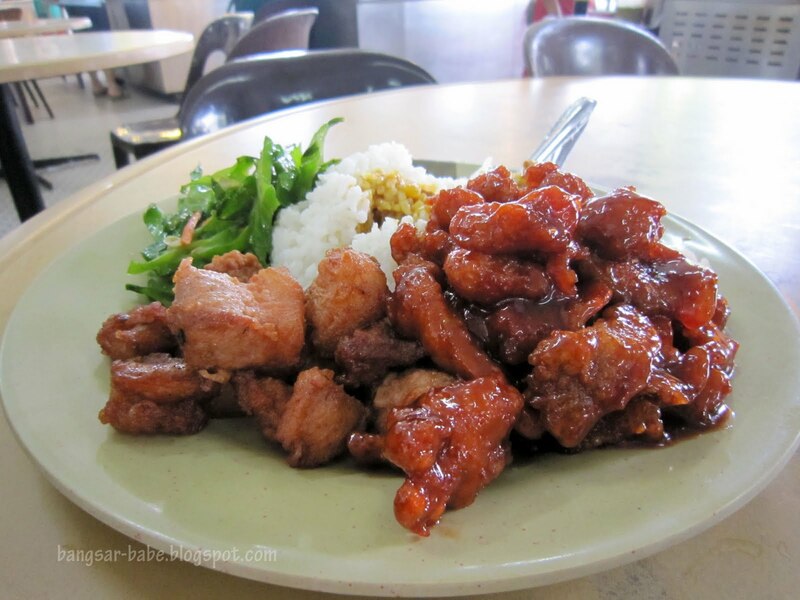 That greedy boy piled his plate high with nam yue pork, sweet and sour pork, and four-angled beans – for RM5.50. That’s quite reasonable considering the amount of things he took. The nam yue pork was already cold but it tasted decent. 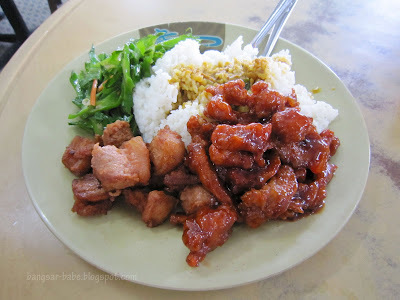 I didn’t care much for the sweet and sour pork but rif thought it was alright. Check out the mountain of meat on his plate! A lady seated at the next table ordered the loh mee from the same stall. She ate it so intently and pleasurably, I had to try it. 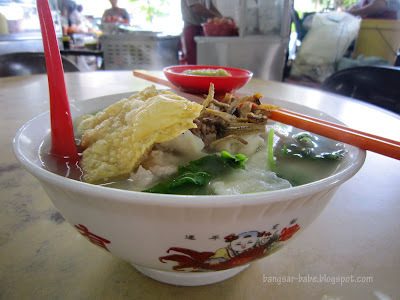 So despite feeling full from my pan mee, I forced rif to share a small bowl (RM5 – small, RM5.50 – large) with me. I’m glad I ordered this, and I ended up liking the loh mee more than the pan mee. 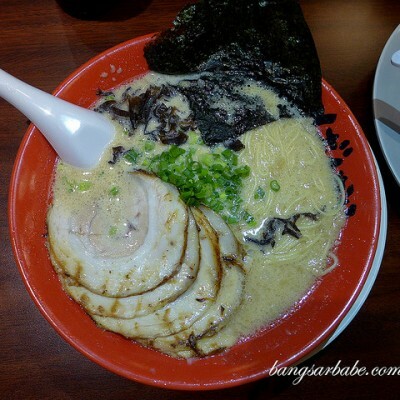 The noodles had little or no “kan sui” smell or taste, and tasted delicious with the thick, eggy broth. I love eating my loh mee with generous dashes of black vinegar for that extra kick. Good stuff. *Previous post on Hoi Kee HERE. Verdict: I came for the pan mee, but I ended up liking the loh mee better. 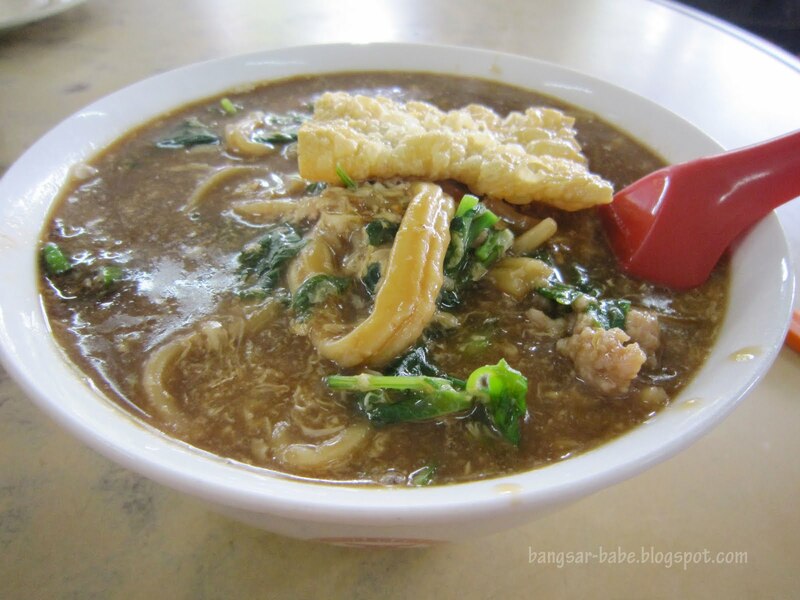 Chinese spinach combine well with pan mee. Just tried the nasi lemak recently and planning to try the mee java next.